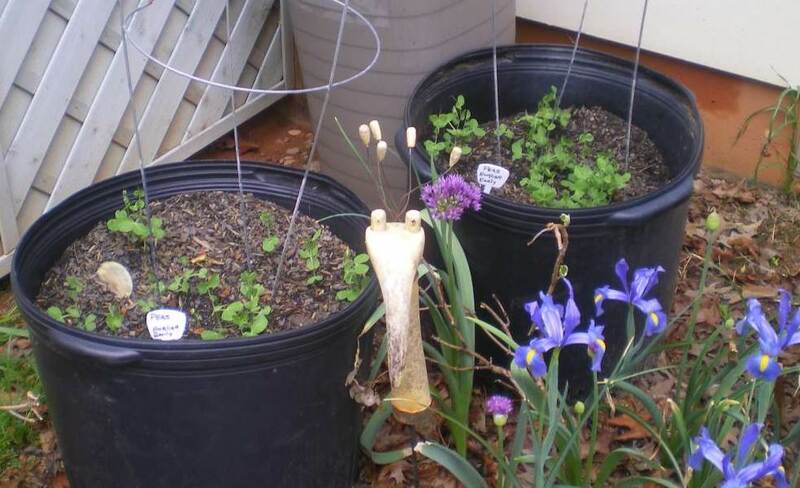 I’ve been dancing around in the garden all day… I’m giddy with gardening glee… as it were. 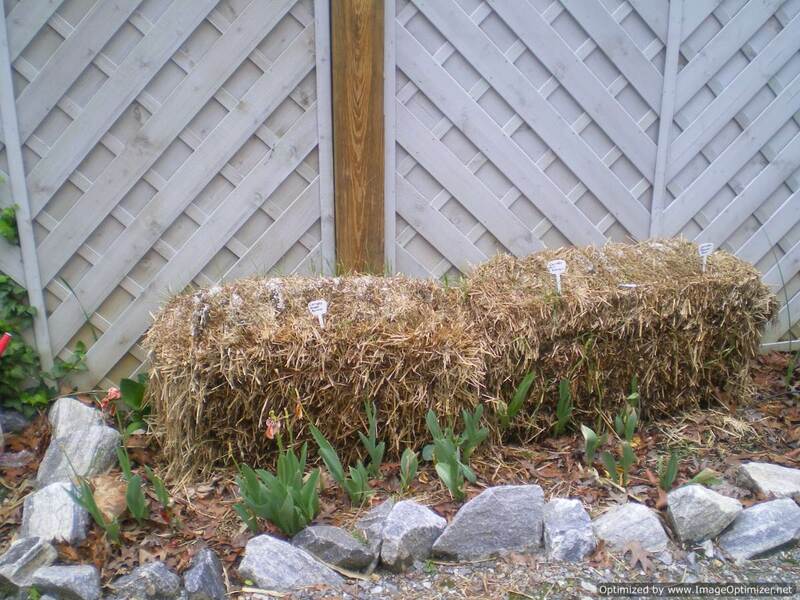 The bales are well on their way to being a rotted mess, the seeds are all planted, and we’ve even added a small raised bed and a couple of container gardens. In a couple of months, it’s going to be home garden nirvana here at Turtle Creek! – At least, that’s what I’m betting on. 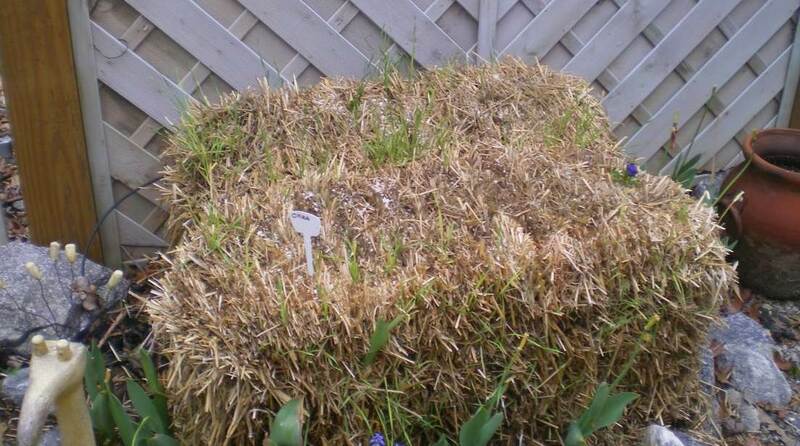 If you missed it last season, I should tell you that this is a wheat straw garden. 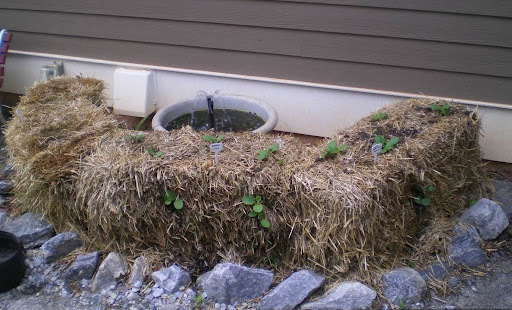 You can find an explaination Why we are gardening this way, as well as easy Step-By-Step instructions to create your very own Wheat Bale Garden (HERE). After the rounding success of some of the crops and a marginal success of others, I’ve more than doubled the number of bales, and adjusted this year’s crops. Even though last year was a dismal failure, I decided to try again. We’ve put these in a sunnier piece of garden real estate and increased the number of plants. 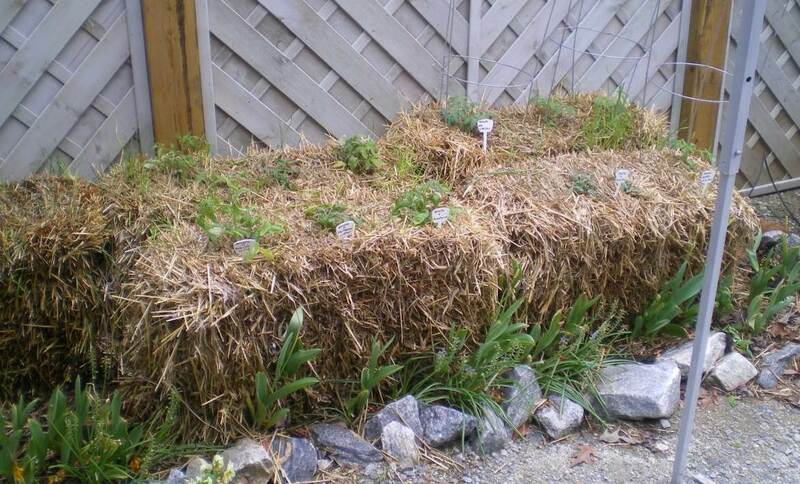 Additionally, I’ve got Lima Beans (Fort Hook variety), planted into the fronts of the bales. According to everything I’ve read, root vegetables work famously in the bales. So, I’ve added several different types in a couple of locations. I’m hoping for 12 plants. I’ve stocked the double bale with 2 packets of seeds in hopes of getting 12 good plants. 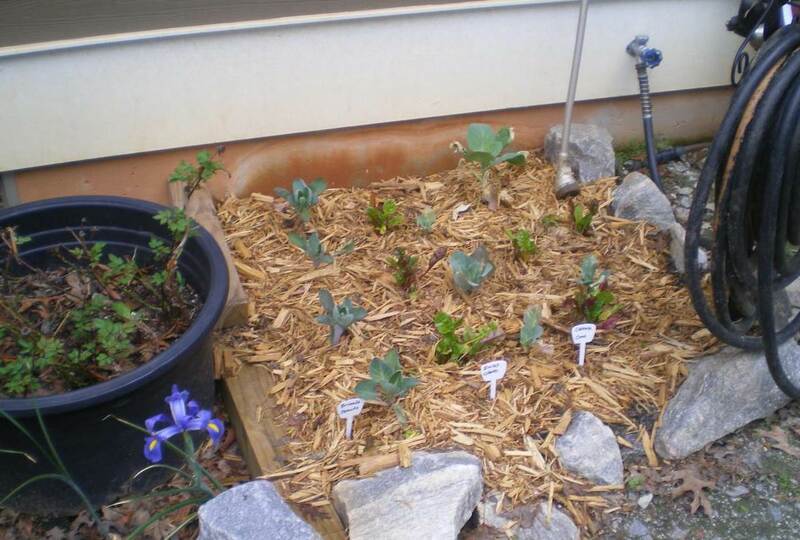 Last year, with only 3 plants, we were getting a mess of okra every 8 days or so…. I’m hoping to improve on those numbers. I’ve gone exclusively with heirlooms this year… and done away with the small salad tomatoes. A gallon of cherry tomatoes every week was just a bit much to manage…. although I may have overdone things this year. Interestingly enough, the Mortgage Lifters are supposed to produce 1 to 3 pound tomatoes measuring 6 to 8″ across. Howdy! I'm Toby at Plate Fodder. I am a 30- year food service professional and restaurant consultant, living in the peaceful North Georgia Mountains. I cook stuff.... I'm a kitchen tool.